We picked up a dozen Penn Cove oysters the other day and they were beauties. We are very fortunate to live here in the Pacific Northwest where fish and shellfish are fresh and abundant. I found this little bit of information on the online oyster guide. “Beach-cultured in Samish Bay, then hung in the deep waters of Whidbey Island’s Penn Cove to purge, Penn Cove Oysters are one of the quintessential Northwest oysters, eternally popular. They always have a nice size—four inches or so—gray-green shells, and the crunchy freshness of a salted cucumber.” What’s not to love? We placed our oysters cup side down on the hot grill. In approximately 5 minutes they began to open up and we topped them with a tiny dollop of herbed butter. Prepare a grill for medium-high heat. Scrub oysters. Place, cupped side down, on grate, cover grill, and grill until oysters begin to open, about 5 minutes. Transfer opened oysters to a platter (discard any that do not open). Let cool slightly, then use an oyster knife or screwdriver (we just used a fork) to pry shells open, keeping cupped side down and retaining as much liquid as possible. Using an oyster knife or paring knife (we just used a fork), cut muscles connecting oysters to shells. Serve warm with butter, lemon wedges, and hot sauce. I rarely make New Year’s resolutions, but I do tend to make resolutions before summer hits, and I was just telling my husband that my resolution this year is to eat more grilled oysters! Ha! Very serendipitous! That’s a very fine resolution. :) This was the first time I had oysters grilled and actually hesitated before eating one because I don’t really care for raw oysters. Much prefer them grilled. Yummy but I am coastal boy and always had seafood on the table. 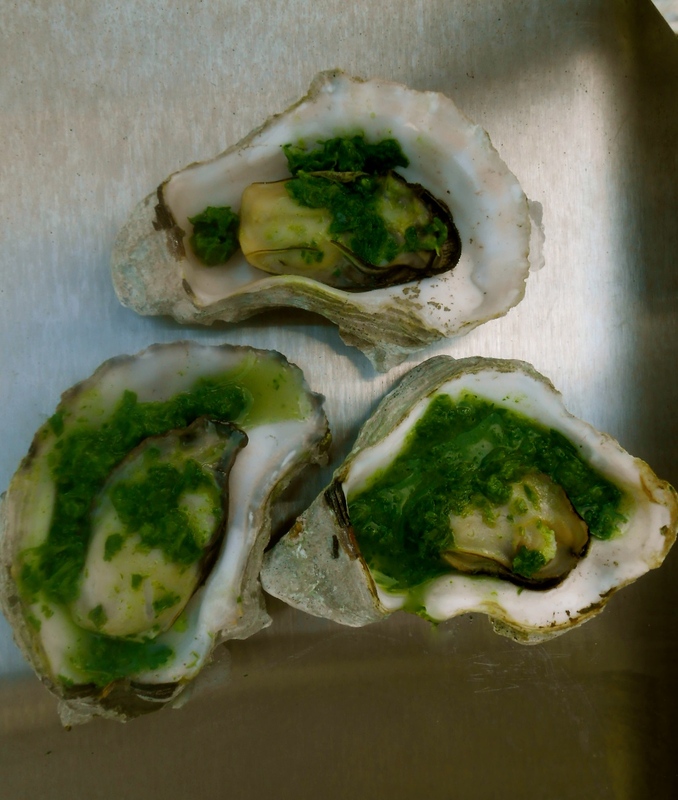 Must say the oysters look wonderful with that delicious herb butter. Love that you grilled them. I will admit only once have I had an oyster would love to try them grilled. For me grilled is the only way to go. Don’t really care for them raw and yes! this herb butter only made them better (for my taste). Thanks Suzanne! Lovely. I don’t eat enough of them. I had to ask myself why I don’t eat them often. 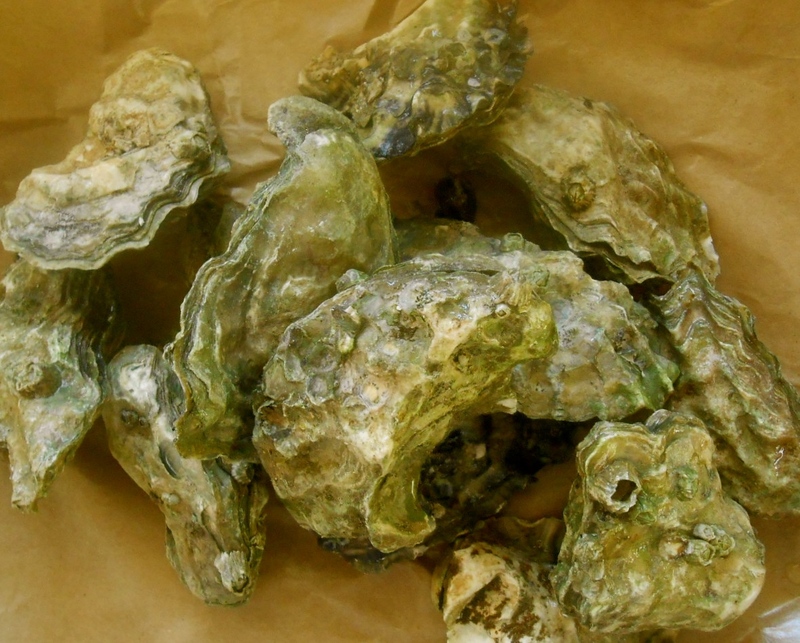 They’re fresh & local right out of the Sound and not too terribly expensive to buy. Wonderful appetizer. Wow, I’ve never had them grilled. Only raw, as in freshly shucked – I just don’t get the appeal. :) I’d definitely try them grilled. Got to ask, what’s their texture like (whey grilled)? I guess that’s why I don’t get the idea of shucking them, as you don’t really eat them. Hah, some would call me a pleb! Ha! I prefer them grilled. The texture is more like muscle and they’re a bit chewy. Grilling was an interesting process. They started spurting water out once they opened and that’s how we knew they were done. I’d say you are probably far from a pleb just knowing what you cook. Bought the cremini mushrooms yesterday and I’m going to make a soup! That’s exactly what they do! They steam. Creamy is a good way to describe them. They do get slightly chewy, not unpleasant, sort of like a steam clam or mussel. Can’t imagine adding bacon! I really enjoy the salty sea water which stays in the shell if you open them carefully. They’re wonderful Sandra, do try grilling them if you get the opportunity. Ha! Well, years ago I really enjoyed them and had no problem eating them. Not anymore. I tried eating a few years back and had a real hard time swallowing it. It was requested we throw some on the grill on Easter, so I bought them knowing there was no way I was going to eat even one. I was talked in to it and I actually really liked it! And yes! especially with the herb butter. So, if you do ever give them another go try grilling them! :) Thanks Margot! What a great way to prepare oysters! Thank you. :) Nice of you to stop in and leave me a comment. This looks divine;The color is so vibrant and lovely! Thank you. :) I was impressed by the green tinted oyster shells. Although really I think they look like something from outer space! They’re delicious grilled. Hope you get a chance to try them, let me know if you do! The nice part about grilling them is they open up and no need to try to pry them open. Yes, I will:) we get them fresh here. The herb butter looks just as good as the oysters! Honestly…it was. 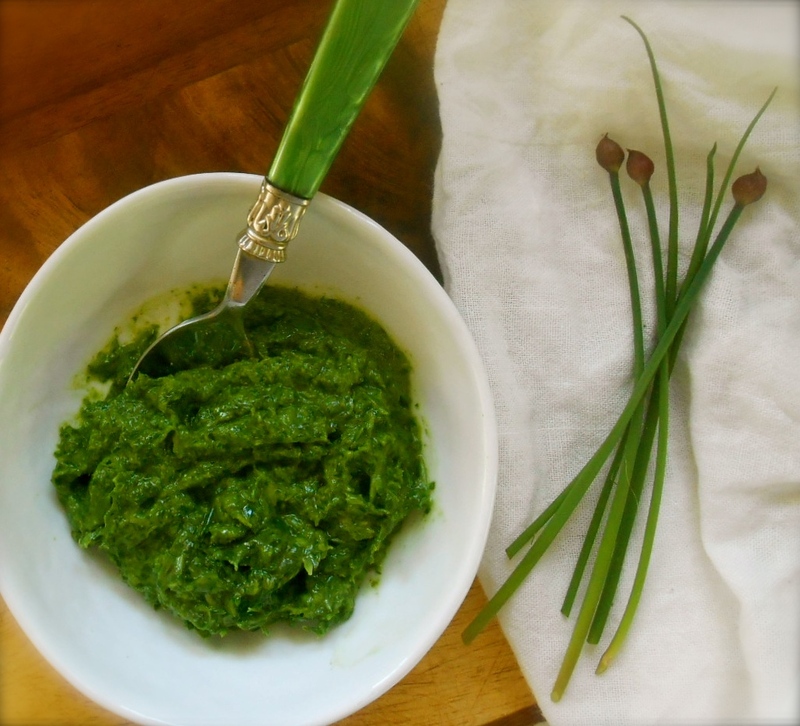 I love butter and I can find hundreds of other uses for this herb butter. Even on a piece of toast! Yum. Your butter sounds delicious too! The Bon Appetit article suggested using hot sauce. I brought the Tapatio out but we didn’t end up using it. Next time I’ll try Tabasco with your butter mix. I think I’ll pick some up this weekend. It always so nice to hear from you! Can’t tell you how many times I’ve thought about going back to the market and pick up not one dozen but two. Really was a perfect appetizer for Easter dinner. It was great fun standing around the grill eating oysters! I’m not really an oyster fan, but this recipe I think I would try. Sounds great. Thanks for sharing. The first time I liked oysters was at Tamara’s rehearsal dinner! So different than the rubbery ones I’d had before. Fortunately we moved to Boston (the next day!) and I’ve been lucky enough to have super fresh and delicious oysters here too :) These sound absolutely amazing, I love the abundance of fresh herbs. I’ve never prepared them myself… if I do I will refer back to this! I’ve still never had grilled oysters — they seem like such an ambitious thing to pull off oneself, at home — but just recently I’ve had at least three conversations with three different people who love them! So I’m thinking it’s time for me to give them a try… at least at a restaurant for starters! You would be surprised how easy to grill them. You really don’t have to do anything at all. Just scrub the outside and put them cup side down on the grill. They open themselves up and voila! Done in 5 minutes. I have to admit, I was nervous before grilling them. I didn’t know what to expect. :) Thanks for visiting! Nice to see you back. Very cool. We don’t really have a real grill, just a stovetop grill pan, but I will bookmark this to try your version of it someday, including the herb butter, because they look good! You are currently reading grilled oysters at COTTAGE GROVE HOUSE.